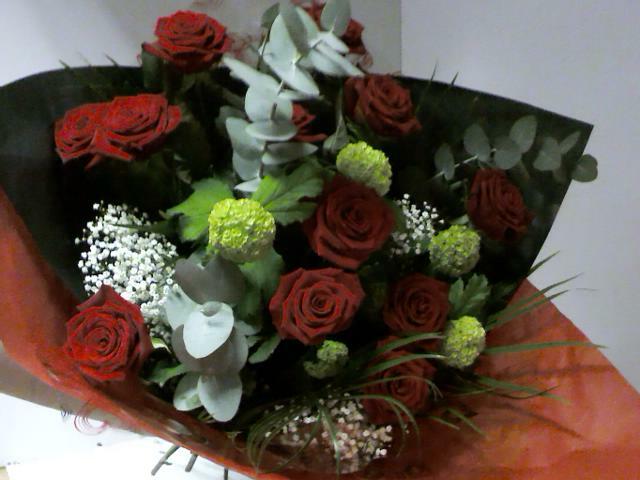 Ideal anniversary bouquet with Roses and different seasonal foliage. This is a romantic bouquet of roses and different foliages. Ideal for a wedding anniversary or birthday gift. This flower bouquet makes a lovely anniversary or birthday gift.